This article will help you to set up your Tea Leaves CRM integration. 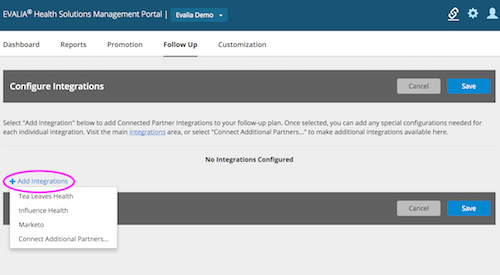 This is a real-time API integration and it can be configured within the Management Portal. Contact your Tea Leaves Lead Specialist or Implementation Project Manager and request your Hash Code. This is a special code that identifies your organization’s Tea Leaves account and authorizes Medicom Health to send data to your account. 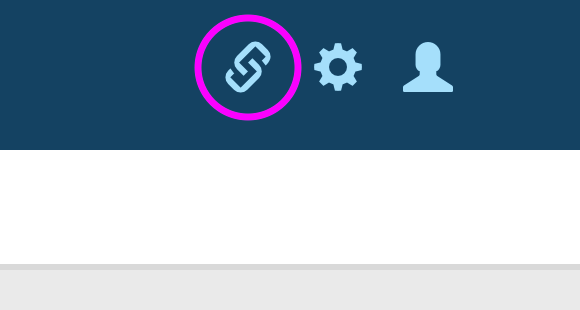 Select the “Connect” link for Tea Leaves Health. Once you have set up your Tea Leaves Integration for your account, you will need to attach each Profiler that you would like to have send data to the Tea Leaves CRM system. 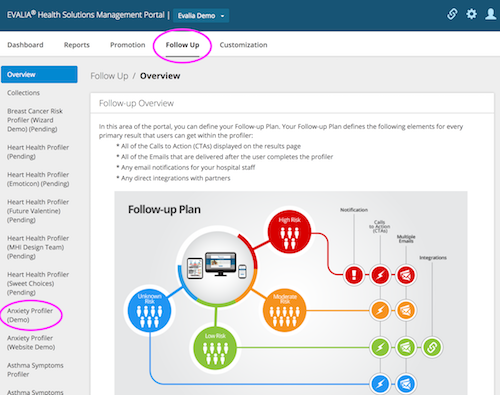 You can do this in the Follow-up Plan section of the Management Portal. Choose the Health Assessment that you would like to connect to Tea Leaves on the left side of the screen. Select “Add Integrations” and pick “Tea Leaves Health” from the drop-down list. Enter the Hash Code that was provided by Tea Leaves into the field on the page. Repeat steps 3-7 for each Health Assessment that you would like to link to your Tea Leaves CRM system.